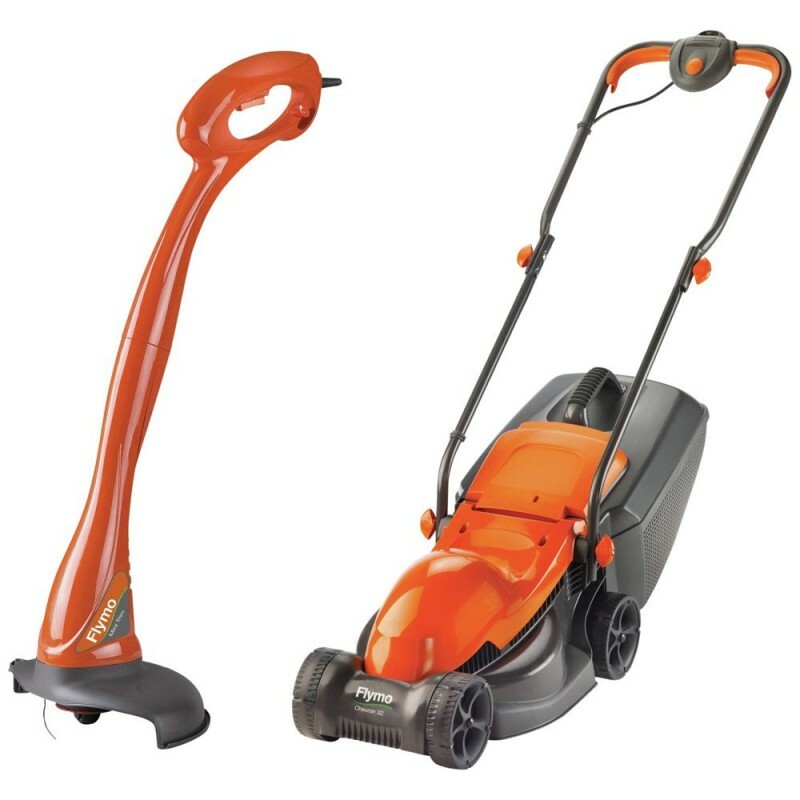 The lawnmower is fitted with a 32cm metal blade and has three different cutting heights. This lightweight and powerful Flymo Corded Rotary 1000W wheeled Lawnmower and 230W Grass Trimmer is perfect for first time buyers. The 29 litre grass box is easy to fit and remove for emptying, making cutting the grass as simple as possible. 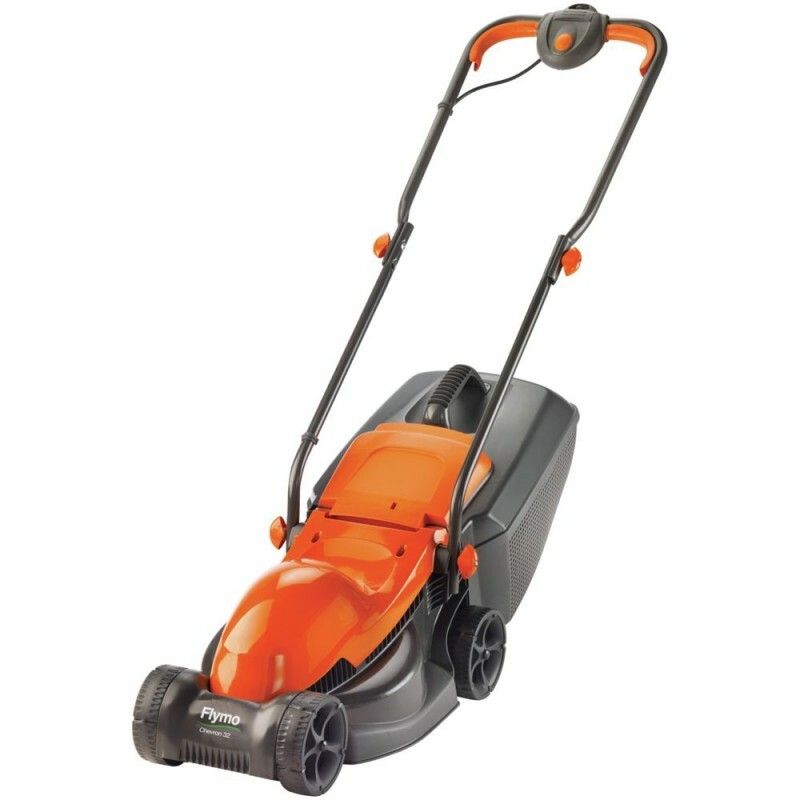 The lawnmower is fitted with a 32cm metal blade and has three different cutting heights ranging between 20-60mm, allowing you to adjust for weather conditions or for personal preference. The Flymo easimo comes with a 29 litre grassbox, which is easy to fit, remove, and empty. It collects and compacts the grass as it cuts and in the grass box for increased volume and less emptying and better mowing efficiency. 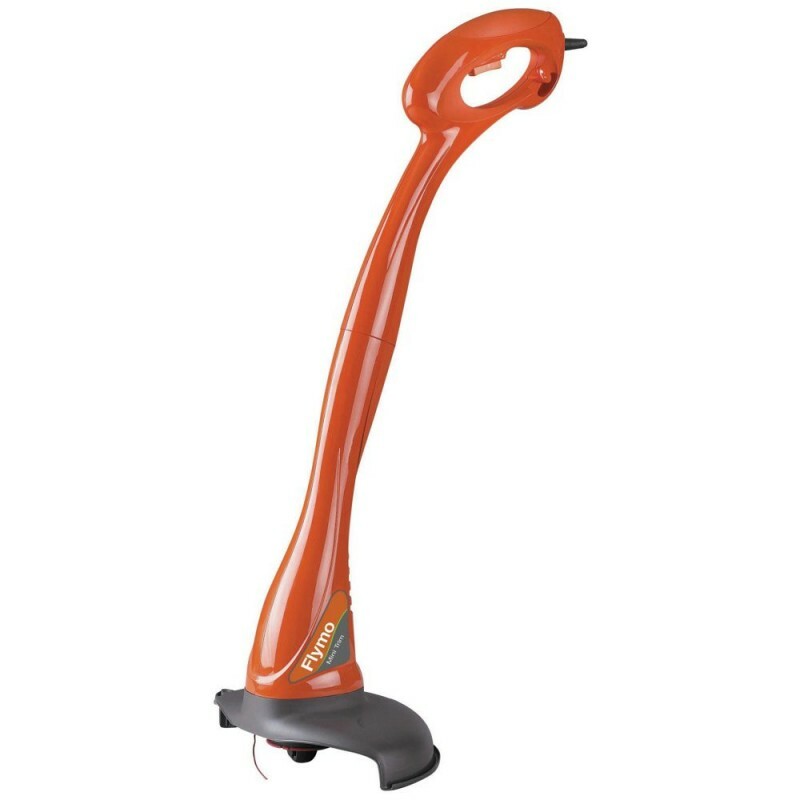 The Flymo mini trim grass trimmer lets you trim up to walls and edges for a neat and tidy finish to your lawn and is fitted with 1.5mm wide nylon line. With a 6m cable, it is ideally suited to small gardens. 1000 watt electric rotary motor. 29 litre grass collection box.